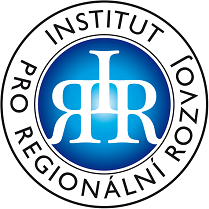 Visual Facilitation in Youth Work | Institut pro regionální rozvoj, o.p.s. From 18 to 26 October, 2015, a “Youth Facilitation in Youth Work” seminar was held in Romanian Homorod, where the Institute for Regional Development also participated. The organizing organization of this project was a non-governmental non-profit organization Y.E.S. (Young Europe Society), founded by young people with experience in volunteering from countries such as Cameroon, Ghana, Moldova and Romania. Y.E.S. Aims to contribute to the development of youth by inspiring it in terms of active European citizenship, solidarity and tolerance. It promotes mobility within and outside Europe, non-formal education and intercultural dialogue. Visual facilitation is a method that uses procedures (such as drawings, image creation, color utilization, etc.) that support the group learning process and practices that lead the group to its goals. The aim is to develop the skills and abilities of the seminar participants to be able to use these practices and their various related tools (eg mind mapping, Info Flow, etc.) in their own work. The seminar was attended by 32 participants from 8 partner countries: Czech Republic, Cyprus, Hungary, Italy, Macedonia, Romania, Slovakia and Lithuania. All participants have acquired many abilities not only associated with the Visual Facilitation method, but also the ability to better present, express themselves clearly and materially, work in a team, simply graphically depict reality, use mind mapping and many others. A great added value was also the opportunity to meet new people from several different countries and get to know their cultures.